EST. 1980 by Sy Cohen, Stanton Carpet Corporation was built on the mission to create a brand that was synonymous with style and value for the decorative market. Over the past 30+ years, the company has grown to be one of the nation’s leading manufacturers and importers of decorative, high-quality carpet and custom rugs. Stanton now encompasses multiple brands that enclose all facets of decorative flooring including: Antrim, Rosecore, Crescent and Hibernia. With its headquarters on Long Island, New York, and its customer service, distribution & fabrication center in Calhoun, Georgia, Stanton Carpet remains committed to its core mission of delivering the finest in decorative carpeting with an unsurpassed dedication to quality and service. 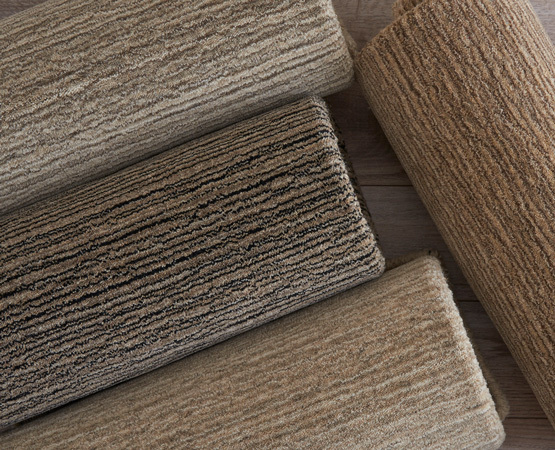 Stanton Carpet, the corporation's self-branded predominantly wool product line features high quality, designer-driven patterns and styles available through select flooring dealers throughout the country. Stanton produces a number of decorative, high-quality, specialty collections including the Pacific Villa & Wiltrex Collections of needlepoint Wiltons and the Atelier collection of decorative patterns in nylons spanning from residential to medium commercial applications. 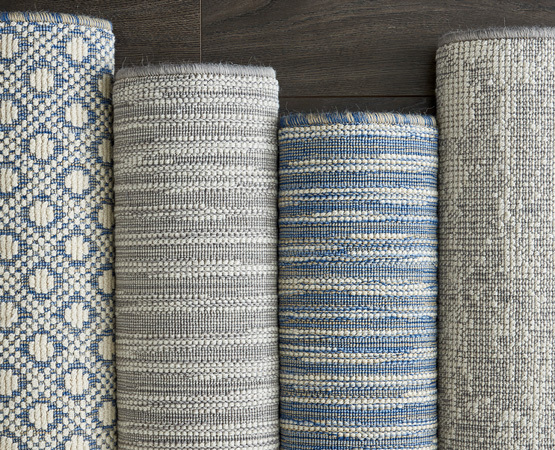 Stanton continues to set new standards of innovation and design in uniquely decorative carpets such as patterned Wilton's, wool tufted textures, flat- weaves, wool blends, nylons, synthetic and natural fiber products with patterns produced exclusively for Stanton. Antrim Carpet was acquired by Stanton in November 2007 and is the leading importer of hand-loomed goods made from the finest materials available. Check out the hand-loomed, wool blend Divinity, offering a distressed look as well as the beautiful and sophisticated Palermo and Palermo Lineage. Both feature a tip sheared, elegant and understated texture. 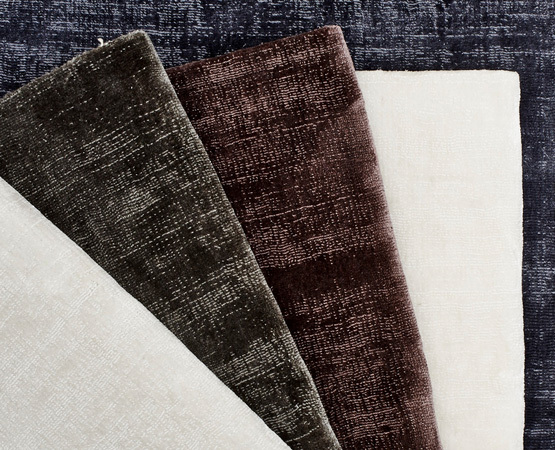 Antrim Stocks over 600 broadloom items and boasts a robust fabricated rug program tailored to your needs. Use our Create a Rug too to visualize the perfect rug and then receive quotes from select retail partners nearby. Antrim continues to showcase the talented handcrafted work from artisans bringing tradition of centuries old, time honored skill and care to every rug and carpet produced. 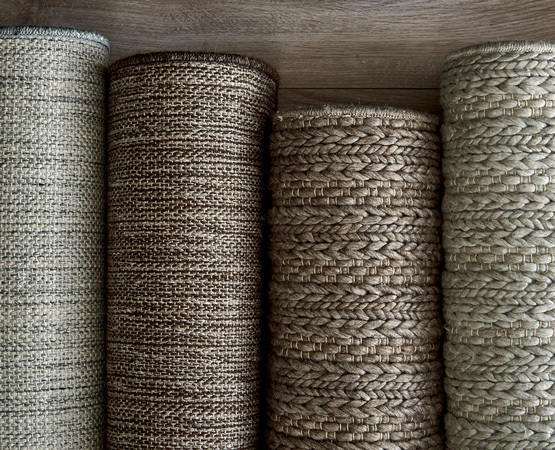 Acquired in 2010, the Rosecore Carpet Division has been the premier supplier of fine broadloom and hand-loomed floorcovering products for over 30 years. With a rich history of artisan craftsmanship and innovative design, Rosecore's exquisite floorcoverings enhance exclusive interiors around the world. Roscore produces a number of prominent Collections including Supreme Bliss from the Supreme Collection, which energizes any room with its elegant patina and palette of soft neutrals. Out truly sophisticated Wilton collections Mirage and Matrix offer distinction and texture to any room. Rosecore products are distributed through an exclusive network of dealers and design showrooms. Crescent Carpet Importers was proudly added to the Stanton family in 2016. With a legacy spanning over two decades, Crescent Carpet is known for bespoke, trend-forward designs in luxurious colors and materials, particularly wool and wool blends. The style is globally influenced by generations of expert artisans based all around the world. The beautiful, hand-loomed Bedford Cord is one of the lines standout styles featuring a striking braided stripe. Simplicty’s tightly loomed design catches the eye with a subtle sheen brought out by threads of art silk delivering a timeless look to any interior. Crescent offers a selection of stocked and custom fabricated rugs and carpets that are among the most unique in the floor covering industry. With an emphasis on art and the highest quality, Crescent Carpet is available in select showrooms nationwide. At Hibernia our emphasis is on craftsmanship. It is that focus to detail that extends thought out the process of creating carpet; that is the Hibernia difference. From sourcing the finest wool yarn from around the world, to making sure our products are quality tested to stand the test of time for generations to enjoy. Our carpets possess an enduring beauty and exceptional quality that is only achieved in the finest mills worldwide. Innovative textures and meticulous details transcend the notion of floor covering and evoke a sense of luxury and refinement. Supported by superior customer service our carpets feature expertly crafted textures that evoke a supple hand and rich authentic character.